Quality is the most previous aspect with our packages. We give assurance of complete customer satisfaction and provide qualitative and inexpensive Web Hosting Solutions. 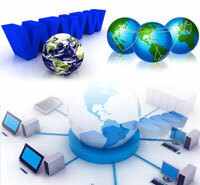 We provide database space per domain which will improve the quality, up time and connectivity of your website. We glad to inform that we are providing Free Web Hosting for first year.You don't need to pay anything for first year. Guaranteed 99% server up time.